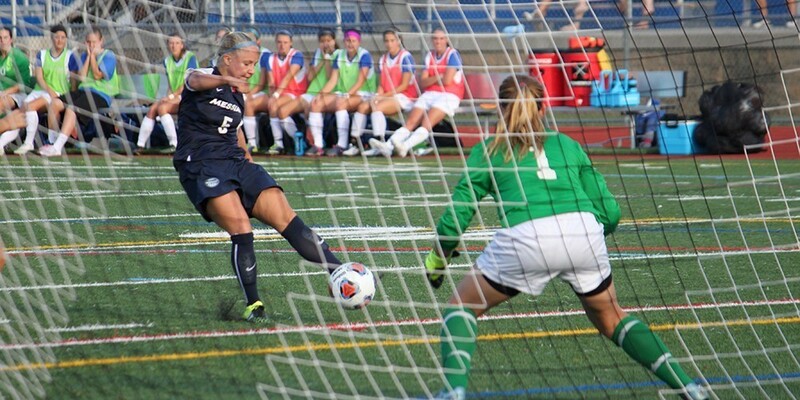 The women’s soccer team traveled to play against the Mary Washington Eagles this past Wednesday and emerged victorious in a dominant 3-0 shutout. A key in the match evolved during the second half. “We came out in a different formation to switch things up and become more offensive minded,”said sophomore midfielder Ally Reinhardt. She added the shift into attack mode definitely helped the team readjust mentally. Larson and Reinhardt both highlighted their standout players of the game –junior midfielder Olivia Snare and senior forward Nikki Elsaesser, respectively. Reinhardt wasn’t wrong, as the Falcons outshot the Eagles 26-2, with 12 of those being on goal as opposed to the Eagles’2. The Falcons dominated this game, and hope to continue that mentality all season long.